Photo: Bermuda has been selected to host the America’s Cup World Series sailing race in 2015. (Photo courtesy of Bermuda Tourism Authority). Bermuda will host the America’s Cup World Series, scheduled for Oct.16 to 18, 2015, according to the America’s Cup Event Authority. The event featuring top-ranked sailing teams competing in identical wing-sailed catamarans, will mark the first stage of events for teams vying to compete in the 35th version of the America’s Cup, the world’s preeminent sailing race. Bermuda is currently vying with San Diego to host the America’s Cup final in 2017. A decision on the final venue is expected in early December. Hosting the America’s Cup final would be a significant coup for Bermuda tourism as the territory seeks to reverse a years-long decline in visitor arrivals. The America’s Cup World Series will provide teams competing in the America’s Cup with the opportunity to earn points that carry forward into the next stage of the competition, according to event officials. The teams’ overall ranking following the America’s Cup World Series will determine the teams’ starting-point scores in the America's Cup qualifiers beginning in 2017. Races will take place in Bermuda’s Great Sound. 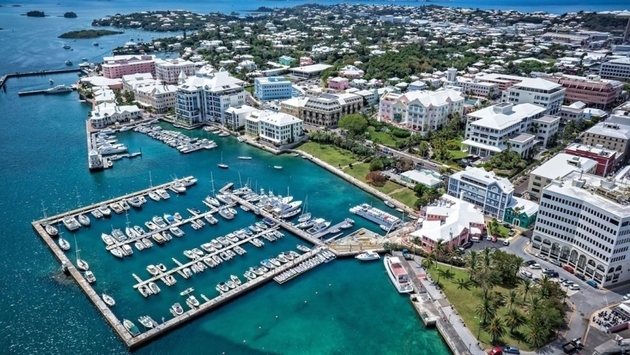 Race teams and a public race village will be based on the waterfront in Hamilton, Bermuda’s capital. Bermuda is a longtime center for international sailing and serves as the finish port for the Newport-Bermuda race, which will celebrate its 50th edition in 2016. Another staple sailing event, the Bermuda Gold Cup, dates back to 1937 and is considered the world’s oldest one-design match racing event. Current America’s Cup skippers Ben Ainslie and Jimmy Spithill are past Bermuda Gold Cup winners, say organizers.